Using a FREE, generic or ISP based domain email address is NOT doing your business any favours. You could own and use your own company domain name for only $30 per year. How many business contacts do you know using one of the above email domains? No matter who your ISP is, you can also purchase generic email addresses such as @engineer.com or @consultant.com and there are many FREE email addresses available from @gmail.com, @yahoo.com, @hotmail.com (now called @outlook.com or @live.com) and thousands more like them. 6 Reasons why you should NOT conduct business using a generic, Free or ISP based email address. When you change domain providers you cannot take your email address with you. By not registering your business domain (and close variants) you are giving competitors the opportunity to do so and to steal your brand. By not registering your business domain (and close variants) you may be unable to build a website in the future using your preferred name. Emails from generic, Free or ISP based email addresses are the ones most often used by scammers and thieves. This means your mails will not always get through business strength email servers (such as Microsoft Exchange ) that protect businesses from SPAM. 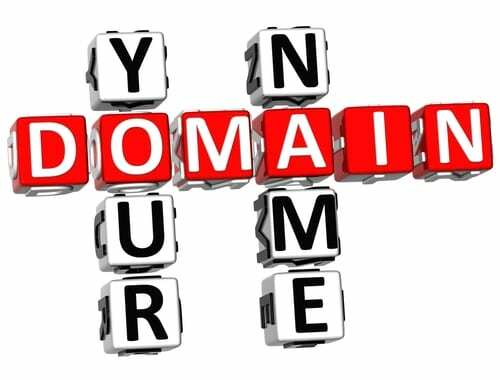 5 more reasons you SHOULD register and conduct business using your own domain name. Adds Credibility – As the saying goes: “You never get a second chance to make a first impression”. Having your own domain name projects a professional image of you and your company, normally associated with large companies. It tends to say to others that you’re a serious business person, operating an established business, in a professional manner. Portability – If you’ve ever had to change your service provider, or even move your physical business address, you won’t have to be reminded of what an incredible hassle it can be to notify everyone. Remember, without your own domain name, your Internet address is tied to that of your service provider. Thus, if you want to change providers you also change your Web address and probably Email address as well. Free advertising – Every time you send Domain email you are advertising your brand or business name and strengthening your brand amongst those who receive your message. As email use grows, so does your promotion of your name. A cost effective solution is offered by Microsoft called “Office 365 Small Business Premium” and combines the latest Microsoft Office products with hosted Exchange. Power your business with our smartest tools yet. Introducing Office 365 Small Business Premium, our best-in-class productivity solution for businesses with 1-10 employees. You’ll have the tools you need to look as professional as you are, all in one easy-to-manage software suite that you can deploy without needing IT expertise. Plus, you can access your Office 365 documents and applications virtually anywhere from the cloud, allowing you to work on different devices and stay connected to people and your business. With Office 365 Small Business Premium you have access to the latest Office applications, as well as professional online tools like email, a public website, cloud storage, and more. Full suite of Office applications, including Word, Excel, PowerPoint, Outlook, OneNote, Publisher,and Access. Online services, including enterprise-grade email, a public website, HD video conferencing, and more. Install Office on up to 5 PCs, Windows 8 tablets or Macs for one user.